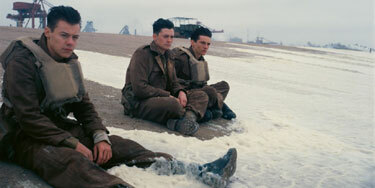 Never Yet Melted » “Dunkirk” — Where Were All the Girls? “Dunkirk” — Where Were All the Girls? Mehera Bonner feels that “Dunkirk” (2017) ought to have been made as a chick flic or possibly directed by Spike Lee. I guess congratulations are in order for Nolan managing to unite high-brow male critics and very annoying people on Twitter under a common bromance, but to me, Dunkirk felt like an excuse for men to celebrate maleness—which apparently they don’t get to do enough. Fine, great, go forth, but if Nolan’s entire purpose is breaking the established war movie mold and doing something different—why not make a movie about women in World War II? Or—because I know that will illicit cries of “ugh, not everything has to be about feminism, ugh!”—how about any other marginalized group? These stories shouldn’t be relegated to indie films and Oscar season. It’s up to giant powerhouse directors like Nolan to tell them, which is why Dunkirk feels so basic. It’s a summer war movie. It’ll make you fear for the future and pray that we never fight again. You might get kind of sick. If you’re like me, a random man will come up to you after and explain why you’re wrong for disliking it. But this war movie isn’t special. At the end of the day, it’s like all the rest of them. Isn’t it wonderful the way the Left has broadened the perspective of members of the community of fashion elite? 7 Feedbacks on "“Dunkirk” — Where Were All the Girls?" Wait for it… Until the movie “Hidden Figures” came out we did not know that it was actually African Americans who made the moon landing possible. I am confident that with enough research that the left will discover that women were there at Dunkirk and that they actually won the war, saved all the men and still had time to fry the bacon up in the pan. Feminists never mature past the “boys are icky” grade school girl clique mentality. Terribly sexist of Sir Winston not to have stranded more women on the beach. There is a movie about women and Dunkirk: Mrs. Miniver. Won the Best Picture Oscar in 1942. Everyone in Mrs. Miniver is white & straight so it doesn’t count. Maybe they could do a remake where she is a transgender of color. Actually, a division of lgbtabcxyz commandos would probably have rendered the Germans speechless with amazement. That would have lasted about three minutes or so before they machine gunned the lot of them, giving the British army an opportunity for a counter attack. The essence of Political Correctness is based on the concept that provably correct facts can be wrong because they don’t like them.